Ideal Home Magazine is a leading British home decorating magazine containing some fantastic interior inspirations. 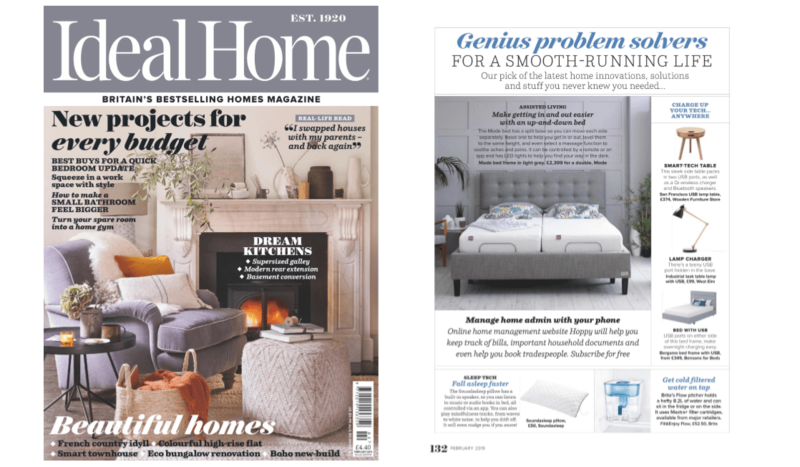 That’s why at Mode we’re thrilled to be featured so prominently in their ‘Genius Problem Solvers for a Smooth Running Life’ article, which contains their pick of the latest home innovation solutions. Check us out in the February 2019 edition while you take some time to brush up on the other latest trends and designs.